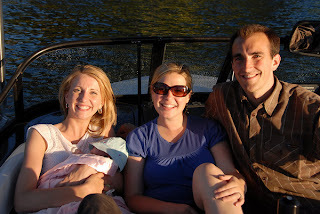 Here's Abigail's first boat ride. Jen and Corey were there too. She slept the entire time.